In that lovely section of The District between Dupont Circle, Adams Morgan, and the 14th & U Corridor (think Chi Cha Lounge), sits a historic neighborhood called “The Strivers’ Section.” This area derives its name from the abundance of notable African-American leaders who once called it home, including such names as Frederick Douglass, James E. Storum and Langston Hughes. 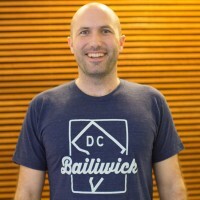 At Bailiwick, we celebrate our own Strivers in this special section of our website. It’s dedicated to people all across DC and the DMV who are engineering positive change in their communities. You may have already heard of some of these folks… Others, not yet. But believe us, you will. These are some of the people who are striving to make DC great, and these are their stories. If you don’t already know the name Jerome Grant, don’t worry, you will soon. 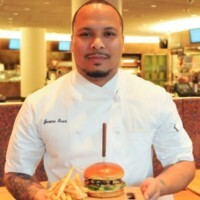 Jerome is currently the Executive chef at the National Museum of the American Indian, and he’s about to add another title to his name: Executive chef of the soon-to-open National Museum of African-American History and Culture. Running the culinary programs at two of the highest profile Smithsonian museums seems like a big task, but its one that Jerome has been preparing for his whole life. Jerome’s culinary prowess has been featured in publications like The Washington Post, Bon Appetit, and Afar, to name a few. He’s ready for this moment. 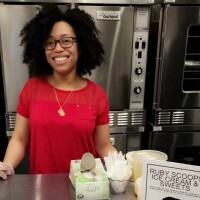 From her home base in DC’s Union Kitchen, Rabia is the Owner and Chef of Ruby Scoops, a local and online retailer of premium small batch ice creams, sorbets, sherbets, and desserts. Ruby Scoops’ sweet treats have been featured in The Washington Post and Zagat. Furthermore, she was also recently honored as one of DC’s top 50 Black-owned businesses by a local online publication. We met Billy Poggi about 6 months ago at a networking event and were fascinated by his energy and his positivity. Billy is a natural adventurer, a former Marine who has been around the world and chronicles it with his camera. 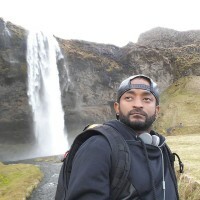 He currently works developing software for government agencies, but his passion is photography and media. He and his wife get a lot of photography practice on the weekends by taking pictures at his children’s sporting events and activities. We have known Marita for a few years now, and we can attest that she is both fun and feisty. She’s a former amateur boxer with a passion for health and wellness. 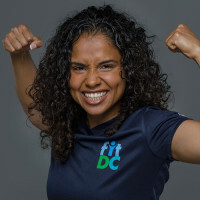 As a certified personal trainer and fitness blogger,Marita is currently the Ward 1 coach for the City-wide FitDC initiative. In her personal time, Marita also finds time to study for the MCAT exam and apply to medical schools. Dwayne Lawson Brown is a man of many talents and passions. He’s a father, poet, an emcee, a mentor for DC teenagers, and an advocate for HIV awareness. And after all that, he somehow finds time to be a crochet artist. No really, he is THE crochet kingpin of the DMV. Let’s learn a little more about this man and his master plan to put his scarves around the neck of everyone in DC.